Vehicles must meet certain requirements to be part of the Hyundai CPO program. 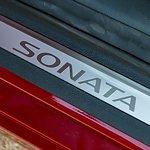 As you shop for vehicles in Waldorf, the Hyundai Sonata is a midsize sedan for you to consider. With five trim levels to explore, you can find the functions that are important to you. By visiting us at Sheehy Hyundai of Waldorf, we’ll make sure you can view all of the levels that are available. The Hyundai Elantra GT is one of America's favorite hatchbacks. This car does just about everything. It's sleek, athletic and pragmatic. The hatchback feature means that there's plenty of space to easily load and unload cargo. The Elantra GT is available in two trim levels. The base level includes a great panoramic sunroof, leather seating surfaces and side mirror turn signals. A powered seat with lumbar support is standard for drivers. The tech package for the N line offers even more. Seats are ventilated. There's a wireless charging pad for smart devices. At Sheehy Hyundai of Waldorf, we love giving back to the community and pride ourselves on our commitment to supporting those in need in Southern Maryland. Each year we participate in the Sheehy Auto Stores’ Annual Giving campaign by donating to a local charity or non-profit in the Waldorf, Maryland area. This year we decided to help The Arnold House by donating $5,000 to them. 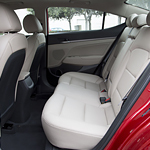 Finding a compact car that you will enjoy driving and then figuring out which trim level is best when it comes to that vehicle is important. You must be careful if you want to use your money wisely. 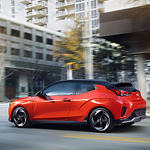 Check out the popular Hyundai Veloster and the trim levels that are available for this automobile. Crossover SUVs have become increasingly popular, this has directly resulted in manufacturers making better performing and more high-tech crossovers. 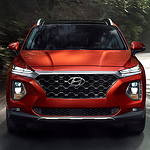 One of the popular crossover SUVs is the 2019 Hyundai Santa Fe. The Santa Fe has a lot of tech and performance in its DNA. 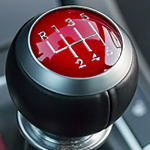 Most drivers love the fuel efficiency offered by a subcompact sedan such as the Hyundai Accent, but aren't convinced that this size vehicle can deliver when it comes to performance. The Hyundai Accent actually delivers both, to the delight of customers who visit Sheehy Hyundai of Waldorf and start investigating just what performance features are included in this subcompact sedan that is rapidly growing in popularity.